response from property - Mar 31, 2019 Hi Wesley! Thank you for taking the time to write a review. We hope you and your family continue to enjoy your residency here at 200 Cityview. What An Upgradesubmitted by Justin B. - Mar 11, 2019 |Recommended: YesMy wife and I are so enjoying living at 200 City View. We have lived in other apartments in the area and they do not compare. We love the finishes and the feeling of the unit. The staff here is amazing Kalei and her team have made a huge difference. They do not treat us like a number. The property looks amazing and we are looking forward to the hot tub. response from property - Mar 22, 2019 Thank you for the review Justin B! Enjoyable, Relaxed, Feels like Home.submitted by Michael R. - Mar 01, 2019 |Recommended: YesLiving here makes me feel good, the manager is extremely nice and wants to help as much as she can. I'm pretty to myself kind of person, but everyone here is nice and up beet. I enjoy it and would recommend this place to anyone looking for a safe home to get. The Gym and hot tub are really awesome too. response from property - Mar 22, 2019 Thanks Michael for the review. 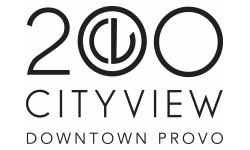 We enjoy having you here at 200 Cityview! Best Management I've Ever Hadsubmitted by Nicholas S. - Jan 31, 2019 |Recommended: YesThe apartments and grounds are extremely clean and well maintained. The management is great and always is sure to respond quickly and respond to maintenance requests within a day. response from property - Mar 22, 2019 Nick, we appreciate your feedback. We are excited to have you for another lease term! Overall I've Enjoyed Them.submitted by Cary D. - Jan 02, 2019 |Recommended: YesHighly recommended and worth asking all of your questions to the office staff that does a great job of answering all questions, working with your situation and helping you feel comfortable with the transition into the building. response from property - Mar 22, 2019 Thank you Cary for the review. Please let us know if there is anything we can do better so that your experience living here at 200 Cityview is a good one. Enjoy your weekend! Fantastic Placesubmitted by Kezlie H. - Jan 01, 2019 |Recommended: YesThis apartment complex is amazing. The apartments are BEAUTIFUL and so well built. When we do have an issue, it is quickly resolved. They are pet friendly, but I haven’t had any issues with gross hallways or stinky rooms. The community is quiet and friendly. Management is AMAZING They alone make this place a 5 star complex. response from property - Mar 22, 2019 Hi Kezlie, thank you for the review of our 200 Cityview community. Have a great weekend! Awesome managementsubmitted by Allison G. - Nov 02, 2018 |Recommended: YesThe management at 200 City View is amazing. Kalei and her team do their best to know everyone and make an effort to make sure everyone is having the best living experience possible. They work with you to resolve issues in a way that makes sense for you. Since the property is still under construction there are sometimes issues finding parking, extra noise etc, but that's to be expected in the interim of any complex. The team is awesome and that's what you're going to deal with for your time living anywhere, coming here is worth it.